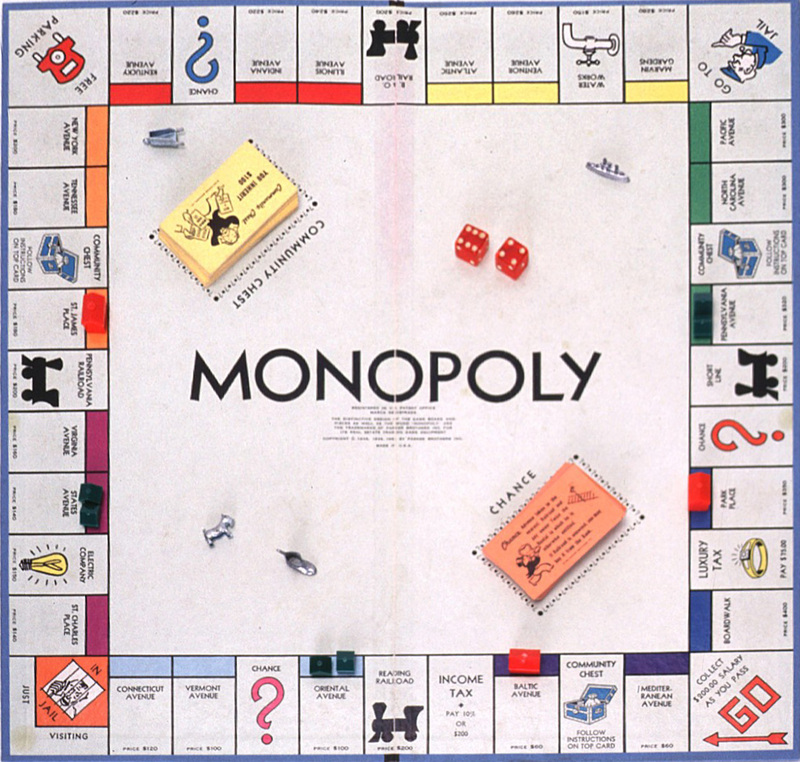 On a recent Saturday evening in Winchester, the Hastons invited the Pleachers and three other couples over for a barbecue and a round of Monopoly. After dinner, the board was set up, and all five couples voted to play as teams. When all the property was bought and all the trading finished, each team owned two complete blocks of property with not a single odd property left over. (The railroads and the utilities are each considered a block of property). George, who is not Mr. Muller, threw four 10's in a row and paid Ann Dunn each time. Art, his wife, and the Lowes owned the only properties on which you cannot build hotels. Bob is not Mr. Haston, and Sue is not Mrs. Pleacher. Peg and her husband - who owned the utilities -- and the Dunns owned the only street properties whose name does not include "Avenue" or "Place." Bev and her husband owned both properties with "Saint" in their names. Tom and his wife owned only four pieces of property, but won the game because they owned the most expensive hotels. The Hastons placed second because they owned most of one side of the board; third place went to Ben and his wife; fourth to Art and his wife; and the losers were the Pleachers. Ben and his wife owned five pieces of property. Dot and her spouse owned the block of three properties immediately following Ben's block of two. Dot and her spouse also owned the block directly across from their block of three. From the clues given, can you name the couples, name the blocks of property each owned, and rank them in order from winner to loser?